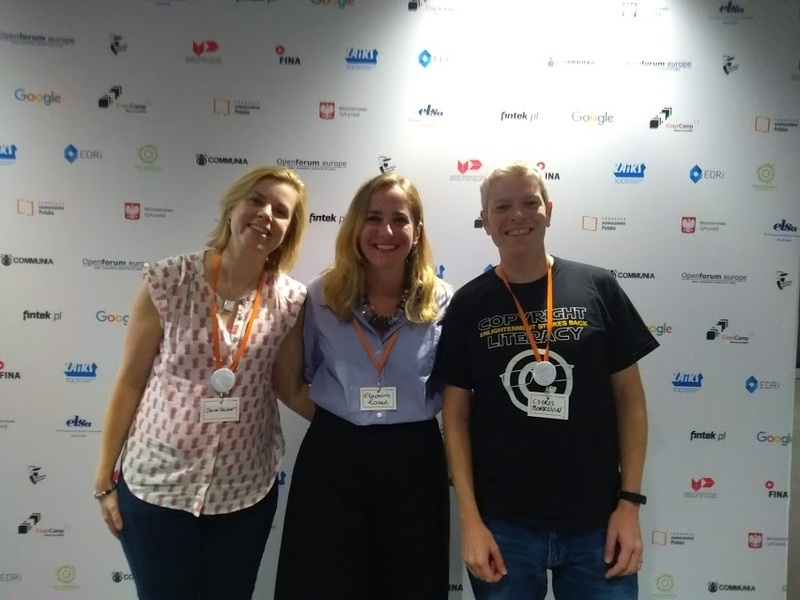 We are just back from a fantastic couple of days at the CopyCamp conference in Warsaw Poland (more about that in a separate post next week) but we were delighted to catch up with Dr Eleonora Rosati who joined us to record our second Copyright Waffle podcast. Eleonora is an Italian-qualified lawyer with experience in the area of intellectual property (IP) and internet laws, she holds academic positions at the University of Southampton, EDHEC Business School and Queen Mary University of London. She is an editor of the Journal of Intellectual Property Law & Practice. She also runs her own copyright law & policy consultancy and is a door tenant at specialist IP set 8 New Square in London, where she regularly provide strategic advice clients in the creative and technology sectors. Eleonora has authored numerous contributions on IP issues, including two copyright monographs and technical briefings at the request of – inter alia – the European Parliament, the European Union Intellectual Property Office, and the International League of Competition Law. She contributes to specialist blogs The IPKat and The 1709 Blog, for which she has written nearly 1,000 contributions on IP-related issues from all over the world, also analysing hundreds of cases. We’re grateful to Eleonora for sparing time to record the podcast with us and tell us more about how she got into copyright, what she’s working on at the moment and to update us on some copyright news. Listen to the episode on our Soundcloud or iTunes page. We will be reporting more on the CopyCamp conference in future posts!